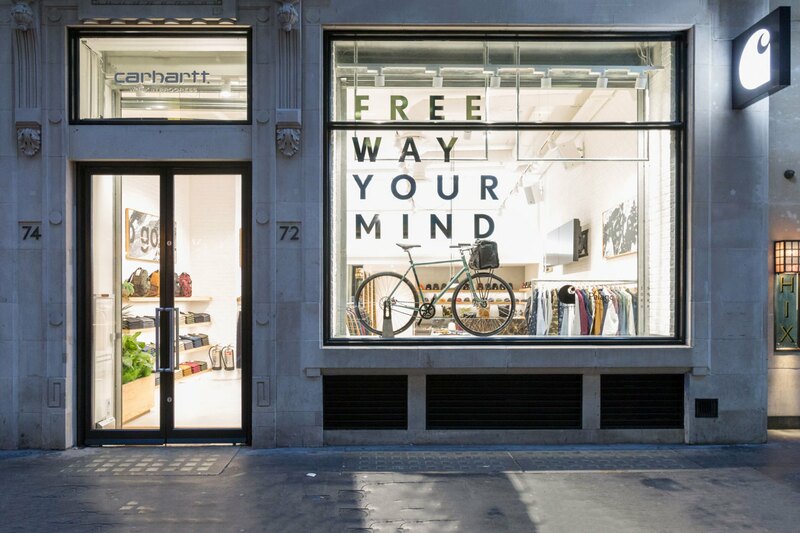 Carhartt WIP recently announced that it will be opening a new store in London, England. The shop’s internal structure will feature exposed brickwork as well as metal, wooden and concrete fixtures. Not to mention, the signature Carhartt WIP neon light will hang beautifully on one of its walls. Not long ago, the iconic workwear stalwart dropped its 2016 fall/winter collection that touted a slew of durable staples — including collegiate sports-inspired sweatshirts, canvas-heavy garments and traditional Carhartt pieces. The store located on Brewer Street in Soho, London is slated to officially open its doors this September 23.